Keep your investment in tip top shape with Golf Cart King's selection of Yamaha golf cart parts. We work hard to keep our best-selling Yamaha branded products in stock at the best price point for our customers. Since 1887, Yamaha has stood for ingenuity and innovation. From road vehicles to water sports to golf carts, Yamaha is known worldwide for quality vehicles designed by the customer. With your needs and wants in mind, Yamaha has designed a long line of golf carts to suit every individual's taste. Golf cart enthusiasts world-wide pick Yamaha carts in part because they are so customizable. If you have a Yamaha model, we've got the parts you need to fix it up and keep it running smooth. Whether you need to make your golf cart safer, more luxurious or to repair a broken part, Golf Cart King has a comprehensive collection of Yamaha golf cart parts to choose from. We have Yamaha gas golf cart parts as well as Yamaha electric golf cart parts -- see our list of Yamaha models below. 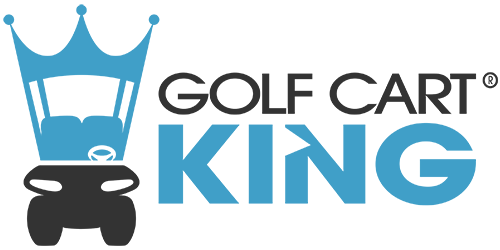 Purchase from Golf Cart King and find out why we're setting the standard in golf cart part customer service.